As a result of increased scrutiny towards tax compliance, the Revenue Commissioners, the Irish tax authority, have yielded a record €611 million last year from tax defaulters. This comes as the nation – which has often been cited as a tax haven, becomes far stricter in its compliance regulation after heavy international pressure to do so. The country is focusing on Irish Tax Compliance and taking steps to modernise its tax collection systems, with big data and digital analytics now helping authorities collect lost revenue. Despite this negative publicity, the country’s economy is booming, and presents a lot of opportunity for contractors, with the tech, life sciences and financial services sectors all flourishing. Ireland ranks sixth on the Index of Economic Freedom and fifth in the World Bank’s global GDP per capita tables. And with the latest reports from the European Commission predicting growth at 5.7% and 4.1% for 2018 and 2019, this doesn’t seem to be slowing. 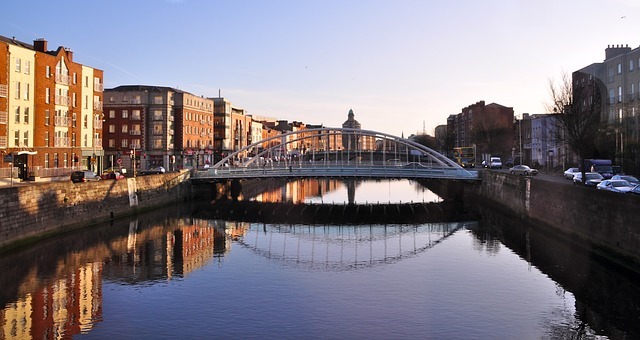 So what do contractors need to know about the Irish tax compliance crackdown? This news comes following reports that Ireland has followed the example of many other nations by introducing technology such as data analytics to help in its fight against tax evasion. The Revenue Commissioners have revealed that they are taking advantage of the raft of new data made available through information-sharing agreements such as the Common Reporting Standards, and using it to identify potential tax fraud. The information is then cross-checked with social media accounts and previous tax returns to uncover any inconsistencies, a new practice that we have previously written about. This has gone so far that the Revenue has even appointed a chief analytics officer to lead its mining of taxpayer data. Significant changes were also introduced to Irish tax collection in the 2016 Finance Act and since a voluntary disclosure deadline in May 2017, tax defaulters who use offshore facilities to hide undeclared income, accounts, or other assets are no longer able to submit a qualifying disclosure. Defaulters now face far larger penalties of up to 100% of tax evaded, publication in the Quarterly List of Tax Defaulters and potential criminal prosecution. When it comes to contracting requirements, luckily, Ireland has a relatively similar set up to the UK. However, professionals should not be complacent when it comes to Irish tax compliance. With the automatic exchange of tax information across borders, freelance professionals are far more likely to find themselves on the wrong side of the law due to unintentionally incorrect tax reporting. Contractors should be aware that they need to apply for a Personal Public Service (PPS) number once they have entered the country in order to access a medical card, social welfare and public health services. Without this, they will face a 50% emergency tax on their pay. Once a contract comes to an end, tax authorities must also be notified in order to de-register the individual.